A typical parking scene along the Jersey City/Union City border. 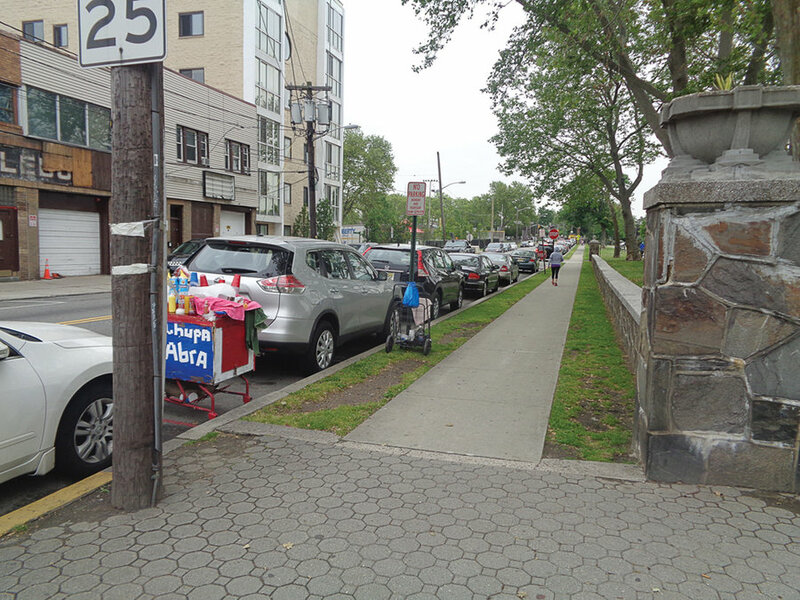 Union City’s recent enforcement of a permit parking ordinance adopted last year has pushed more non-resident drivers to park in Jersey City’s Heights neighborhood, residents and officials in Jersey City say. Because Union City was lax in enforcing the ordinance before, drivers from other parts of the state would come and park their cars there, then take the Hudson-Bergen Light Rail to work in New York City, according to Jersey City Ward D Councilman Michael Yun. Neither Union City Mayor Brian Stack, nor the Union City Parking Authority, responded to repeated requests for comment. The Union City Parking Authority sent letters to residents noting that on April 1, they would start promoting compliance with the ordinance. The enforcement has led to non-local drivers parking around Paterson Plank Road, the border between The Heights and Union City, sources say. The neighborhood’s current parking ordinance only applies east of Central Avenue, from 8 a.m. to 5 p.m. on weekdays. The Heights has long struggled with providing parking for its residents; the additional cars on its northern border helped force its hand. In April, Jersey City’s city council adopted an ordinance adjusting their previous parking one, bringing 24/7 zoned parking to the entire neighborhood. When the ordinance takes effect in May 2018, the year-round, non-residential parking permit cost of $300 under the current version will expand to the rest of The Heights. “What we call, ‘outsiders’ to Jersey City, Union City, and North Bergen—like someone who lives in Nutley, for instance—they bring their cars to Jersey City, they park their cars on our street they get on the bus and go to New York City for work,” Yun said. He cited parking in The Heights as the number 1 issue among constituents when he was elected in 2013. In response, his office conducted public meetings and issued online surveys regarding parking. “Those kinds of people—out-of-state plate holders– usually park their cars in North Bergen and Union City. But now they’re enforcing residential parking 24 hours so instead, they come here,” he said. While North Bergen also has a 24/7 residential zoning ordinance, town spokesman Phil Swibinski said that its enforcement goes back years.